Joey Logano draws the ire of Martin Truex Jr. while taking a win at Martinsville that assures him of a chance to race for the Cup Series championship. MARTINSVILLE, Va. — Joey Logano earned a shot at NASCAR’s Cup Series title by using an old fashioned bump-and-run on Martin Truex Jr. to win Sunday at Martinsville Speedway. Truex slid sideways across the finish line and promptly declared Logano won’t take his title from him this year. Logano won the opening race of the third round of the playoffs by using the bumper on his Ford to shove Truex out of his way on the final lap. The contact caused both cars to wiggle, but Truex’s slide was nearly sideways, while Logano corrected after a swerve and straightened himself out as he hurtled across the finish line. Eight drivers started the day vying for four spots in the season finale at Homestead-Miami Speedway. Now Logano is assured of one of those spots, while series favorites Truex, Kevin Harvick and Kyle Busch are still trying to lock down a berth. Truex wound up third and agreed with the fans who booed Logano as he was interviewed postrace on the address system. “We should be in Victory Lane right now,” said Truex, who stood on pit road alongside his Toyota and gave Logano a double thumbs-down gesture. 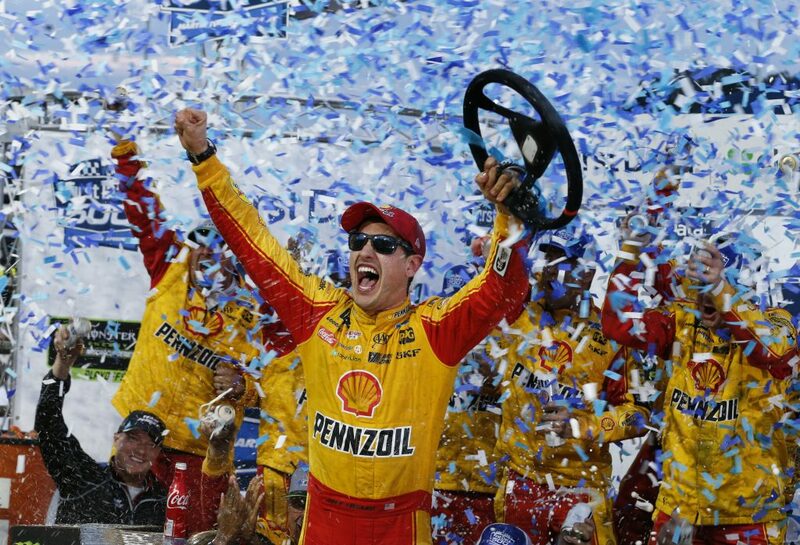 Logano seemed to be aware that the way he won was unpopular, but his eyes were on the bigger prize. Logano led a race-high 309 of 500 laps but had to contend with Penske teammate Brad Keselowski in the waning laps. Truex, who started 31st after his Toyota failed inspection prior to the race, caught up to Logano with about 10 laps to go, and the two raced side-by-side until Truex finally got the lead with one lap remaining.